Stone Brewing Co. is a North County based business that has gained an international reputation as a world-class beer maker. On top of that, their footprint in San Diego continues to grow as they open their company stores, restaurants, and even their own farm. I had a conversation with Chris Cochran, Stone’s Community Relations Manager recently about that San Diego expansion. Tell me about your role with Stone. 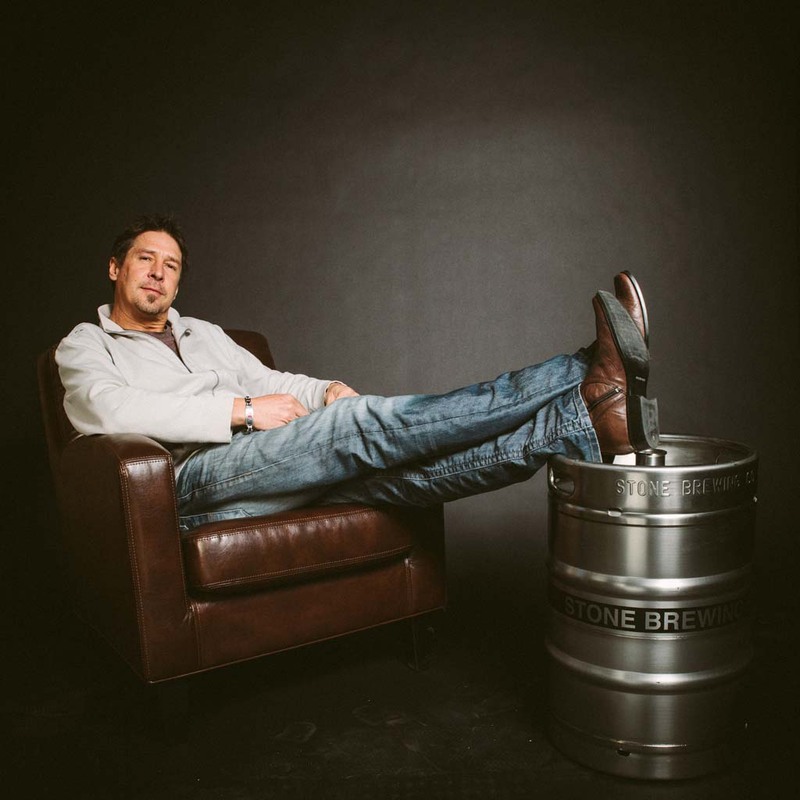 My current role/title here at Stone Brewing Co, is Community Relations Manager. I work with a variety of entities and organizations such as the Chamber of Commerce, Business Associations, local governments, as well as handling a big portion of our philanthropy and charity events. Stone seems to be everywhere these days, but let’s start at your Escondido location. What’s new out there? Escondido is our main facility and location and we recently finished our brand new Packaging Hall where we bottle and keg all of our beers that we distribute around the United States. The building also just won a big award for the solar features we incorporated into the design. The menu has evolved a little more too at the Stone Brewing World Bistro & Gardens, and has a wider variety of items than before. However, we still stick to our all-natural food philosophy and have been using more and more produce grown at Stone Farms…which is a must visit location! Your company store in Oceanside is very cool. Tell me more about that concept and other locations. Well, we started with “retail” way back in the day with our little store when we were in San Marcos. Then it really evolved with the move to Escondido when we had more of a real store presence. Since then we’ve opened up Stone Company Stores in South Park, Oceanside, Pasadena, Liberty Station, and the newest On Kettner in downtown SD. The concept is to have a retail outlet where people can buy hats, glasses, shirts, dog bones, soaps, etc…all the cool Stone gear, along with tasting a variety of our beers. You can also purchase beer to go in a growler, six-pack, case, or a keg. Annel & Drew’s Kitchen is at your Oceanside company store on Friday’s. What other food vendors are you bringing in to these locations? None of the Stone Company Stores make or serve food, so we do allow people to bring food into our store locations…and their pets. One of the cool things about the Oceanside Store is that a few local places will actually have their waitresses or waiters run the food over to the store if you call and tell them you’re at Stone! Stone even has a farm, how did that come to be and what are you growing? Stone Farms was the former location of La Milpa Organica, and they were one of many local farms Stone Brewing World Bistro & Gardens was buying produce from when we started. Then a few years ago it was brought to our attention that the former owner was going to get rid of or sell the farm, so we stepped in and took it over. We all felt it was the right thing to do, and gave us the opportunity to have our own farm and grow the things we want. Such as kale, lettuce, Swiss chard, rhubarb, tomatoes, peppers, citrus, eggplant, herbs, and more. We also have a lot of egg-laying chickens, ducks, and quail, along with some peacocks and turkeys…and some goats too for eventual cheese! You also have a new Stone Brewing Co. World Bistro & Gardens in Liberty Station. How does that one differ from Escondido? To start it is much bigger; currently the largest restaurant in San Diego County at over 23,000 square feet under roof, and it does have items on the menu that you cannot get up in Escondido. Not to mention we do have a separate brew house down at Liberty Station and they’re able to brew a lot of unique beers that are often only available down there! Any new product line announcements you have coming soon you can share with readers? If you’re traveling anytime soon out of the newly remodeled Terminal 2 at the San Diego Airport, don’t miss stopping at the new Stone Brewing location there! The much anticipated Stone Hotel will be taking shape in 2014, with a hopeful opening in 2015, and then of course we have a ton of other fascinating and amazing projects coming down the road that will continue to show that Stone Brewing Co. is still leading the way in the craft brewing world! You have a big New Year’s Eve celebration in multiple locations, what’s going on with those? We have big celebrations planned at both locations of the Stone Brewing World Bistro & Gardens — Escondido and Liberty Station — and they are going to be truly incredible. Tickets are only $99 and include beers, food, live bands, DJs, cigar lounge, commemorative glass, and tons more! !